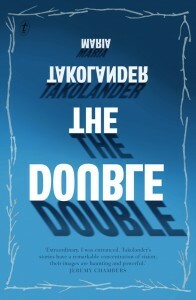 The Double (And Other Stories), Maria Takolander, Text, 2013. Taking its title from the Dostoyevsky novella in which the bureaucrat Golyadkin is slowly driven mad by his more talented and charming doppelganger, Takolander’s collection introduces itself as a sort of game, with each story taking the title of a literary classic. While Dostoyevsky wrote his Double as a response to Gogol, his book has inspired a thread of existentialist horror, by which I mean stories on the philosophical horrors of being and identity that characterise modernism and that continue to rear up in the work of contemporary writers such as George Saunders. This is the tradition that poet and academic Takolander takes up, though without Saunders’ desperate Everyman. She is a writer’s writer, ready to don the harness and drag the sled a little farther through the snow, while aware, as any writer should be, of the futility of the effort at hand. I’m reminded of Toni Morrison’s line about wanting only to be a reader, thinking all the great work already written. There’s a similar sense here of being dogged by the weight of the past – but Takolander bears it with immense skill and poise. The Double is a commanding, demanding and very chilling collection, filled with frozen landscapes and the isolated figures who dwell in them. This quality reflects Takolander’s Finnish background, as well as a distinctly dystopian aesthetic. But there is also the Australian gothic tradition of landscape-as-ghost, with its repertoire of blood and guts and failure. Sometimes the eloquent simplicity of her considered sentences gives The Double a double meaning. ‘There is firmer land somewhere,’ she writes, describing both the colonial affliction of our relationship to earth and the always-unsettled search for meaning. Double-exposed images are everywhere, as are mirrors and reflective surfaces of water. Several of the stories are unsettling enough to disrupt sleep. Strange harms appear, abandoned-seeming places are inhabited by mysterious glassy lakes and broken machines, transformations are cruel and irrational. The self-conscious struggle to make conversation with writings’ past enhances a sense of stories disinterred from some dark grave. Despite the consistent tone there are great leaps of content and setting. Her reworking of The War of the Worlds gives us a literary science fiction wonder that depicts the loss felt by a mother whose sons go to war, a feminist reinterpretation that combines political intelligence with emotional depth. Here as elsewhere, everyday brutalities come into contact with the tiniest of human mercies. Takolander’s angle is the familiar made strange, and her work has a wry quality that echoes early Atwood’s fierce genius: nowhere more so than in the story ‘Mad Love’, in which a woman holidays on safari with an awful husband. Takolander is always careful, not just with her imagery but with her ideas, and her poetic talent for a startling double image means that her prose, while often bleak, never sinks into the predictable. That craft and skill is stunning, and it comes as a surprise that this is Takolander’s first collection – one wonders what other gems she has buried. Lovers of the short story are thin on the ground, but this collection ought to recruit a few more of them, and its conversational premise lends itself very neatly to a teaching repertoire. The last portion of the book is made up of a suite of stories about a disastrous series of events in a small academic poetry community, centering on the figure of the outsider-genius Roānkin. 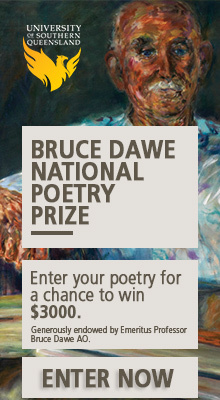 It resembles the obscure and pointless conflicts that afflicts Australian poetry from time to time, and the satire is at once intimate and disturbing. This latter suite of stories reads like forgotten chapters from Nabokov’s Pale Fire. As with Nabokov, there is a danger of the writer coming across as simply an academic mind mucking around with literary in-jokes or games. But the playfulness is also refreshing after the darkness of most of these pieces, which have by now filled the mind with shadows that are hard to shake. Ultimately it’s the playfulness, Takolander’s joy in her craft, that rescues The Double from its lakebed of seriousness. This is a book aware of its legacy, its stance and its limitations, and it manages to avoid the self-consciousness that can make the work of a writer’s writer an alienating read. In the hands of a lesser author, The Double might be off-putting. But Takolander’s depth of intellect and her quiet refusal to take any of it too seriously ought to win this unique collection a much wider audience. I can’t help thinking that somewhere there is an ordinary, mediocre Maria Takolander, crying out that she has been usurped by this clever monster.